As winter rolls in, the timber deck and any timber fixtures, like windows and doors, or furniture are vulnerable from exposure to the harsh Australian weather conditions. Cold temperatures and rain are timbers’ worst enemy and without proper protection timber joinery and structures around the home can easily deteriorate. To ensure timber surfaces stay healthy and last for as long as possible, it’s important to apply the best protection and inspect regularly for cracks or rotting sections. Timber coating specialist Sikkens recommends putting the following in place before it’s too late. Regular inspection is recommended each season to ensure any cracks or unpainted areas are attended to. Dry rot can cause further damage to timber so ensure any splits, holes or cracks are filled with a wood filler such as Sikken Cetol Gupa which is a fast-drying filler and stopper for nail holes and wood cracks. Ensure this is done before re-coating to help strengthen the wood and prevent damage spreading during the winter months. Before coating any timber surface, ensure it is properly cleaned to allow the new coating to penetrate and adhere to the timber for long lasting protection. For hardwood decks that are weathered or grey, a cleaning product such as Sikkens Cetol BL Deck & Wood Cleaner works quickly to rejuvenate timber by drawing out dirt and grime. For cleaning and protecting timber furniture, the Sikkens Cetol BL Garden Furniture Cleaner is ideal and works quickly to revitalise and brighten timber furniture. The non-drip gel also makes it perfect for vertical surfaces such as timber fences or balustrades. Applying a coat to the timber deck, window and door frames, or furniture will protect surfaces against damage from moisture, mould and rot over winter. Sikkens Cetol BLX-Pro water-based finish is microporous, allowing the timber to breathe while repelling unwanted moisture. Providing superior durability and flexibility, Sikkens Cetol BLX-Pro is a high quality, transparent finish that accentuates the natural characteristics and colour of the timber. It’s also fast-drying allowing homeowners and DIYers to complete a deck in a weekend. 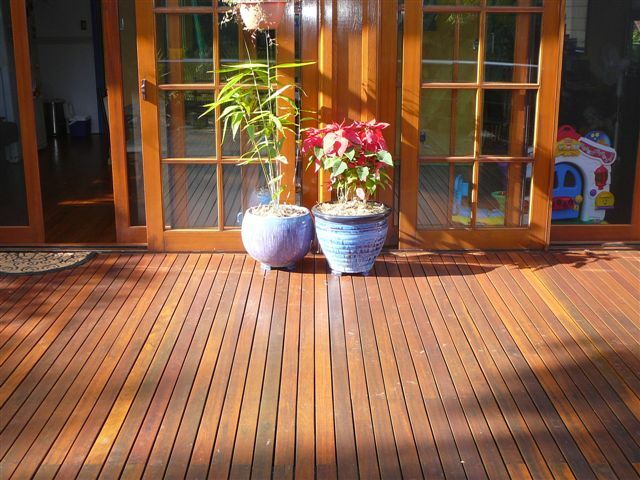 During cold and rainy months, be sure to clear away any leaves or dirt that may pile up on the deck or in between gaps in the timber to prevent mould or lingering damp, which can cause damage to timber surfaces.